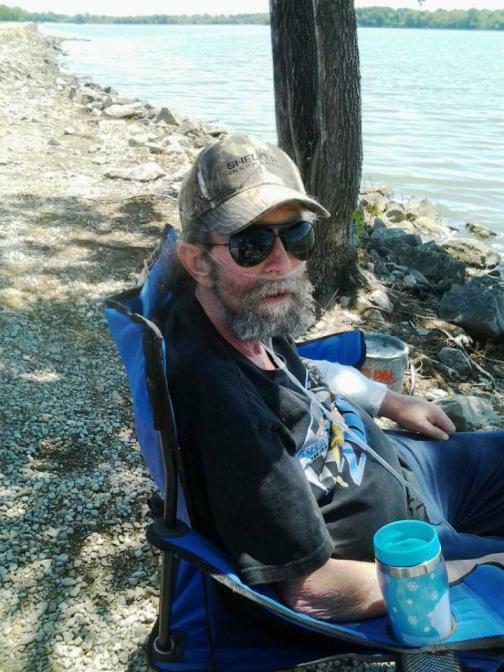 Charles “Chuck” Tigner, age 54, of El Dorado Springs, Missouri, passed away peacefully June 16, 2016. He was born January 25, 1962, the son of Wallace Dean and Charlotte Marie (Rodgers) Tigner. Chuck loved fishing, cutting his grass, his animals, and living out in the country. Survivors include: his wife, Christy; mother, Charlotte Messick; mother-in-law, Patricia Atteberry; daughters, Danielle Tigner, Misty Ruston, and Patricia Perkins; sons, Joshiah Ruston and Arthur Perkins; numerous grandchildren and great-grandchildren; sisters, Thelma Breshears and Sherry Hudson; brothers, Richard Tigner and John Tigner; and nieces and nephews. Chuck will always be missed but never forgotten. In our hearts your memory will linger sweetly, tender, fond and true. There is not a day we don’t think about you. A celebration of Chuck Tigner’s life was held June 20, 2016, from 6:00 till 8:00 p.m. at Bland-Hackleman Funeral Home. Final disposition was cremation, under the direction of Bland-Hackleman Funeral Home.